Chemical and materials engineers create, design, and improve processes and products that are vital to our society. The Department of Chemical Engineering & Materials Science at Stevens offers programs of study leading to Master of Engineering, Master of Science, and Doctor of Philosophy degrees, as well as the professional degree of chemical engineer. In addition to core courses and a variety of elective courses within the department, students may take relevant courses in related disciplines such as chemistry, chemical biology, biomedical engineering, physics, engineering physics, mechanical engineering, and electrical engineering. Our programs produce broad-based graduates equipped with a solid foundation in research and development methodology and prepared for careers in many fields. The programs are designed to prepare students for a wide range of professional opportunities in manufacturing, design, research, and development, among others. Special emphasis is given to the relationship between basic science and advanced applications in modern technologies. We strive to create a vibrant intellectual environment for our students and faculty anchored by pedagogical innovations and interdisciplinary research excellence. Active and well-equipped research laboratories in polymer processing, biopolymers, advanced chemical processing, microchemical systems, alternative energy production, tissue microenvironment, nanomaterials assembly and coatings, optofluidic reactors and sensors are available for research leading to Ph.D. dissertations and master’s theses. Admission to the chemical engineering graduate program requires an undergraduate education in chemical engineering or closely related discipline. Admission to the materials science and engineering graduate program requires an undergraduate education in materials science and engineering or closely related discipline. However, a conversion program can be designed to enable qualified applicants with insufficient undergraduate background to enter the master’s program through intensive no-credit courses designed to satisfy deficiencies in undergraduate preparation. 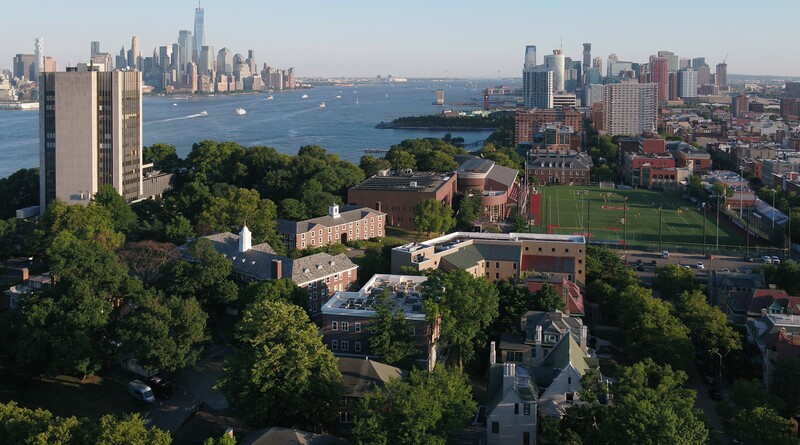 In addition to the rigorous academic courses and world-class research offered at Stevens, student organizations support a variety of co-curricular or extra-curricular interests and pursuits. The Chemical and Materials Student Association (CMSA) strives to provide CEMS graduate students with a stimulating and interactive learning experience by organizing guest lectures, leadership opportunities, and an open, social learning environment. Through collaboration with other student organizations like the Materials Research Society and offices on campus like the Office of Career Development, CMSA helps students gain access to teaching and outreach activities as well as national networks of CEMS graduates working in academia and in the industry. The Stevens Institute of Technology is accredited by the Middle States Commission on Higher Education. The Middle States Commission on Higher Education is an institutional accrediting agency recognized by the U.S. Secretary of Education and the Council for Higher Education Accreditation. Admission into the master's degree or graduate certificate programs requires an undergraduate degree in engineering or related discipline, with a grade point average of "B" or better, from an accredited college or university. * GRE scores are required for all applicants applying to a full-time graduate program in the School of Engineering & Sciences (Code #2819). All scores are valid for five years prior to the application term. GRE required for all Ph.D. applicants. Approximately two weeks following receipt of the above materials, you will receive a decision letter from the Office of Graduate Admissions. If accepted you will receive an acceptance letter outlining the program to which you were accepted, as well as your assigned academic advisor's contact information. For more details on deadlines and how to apply please visit the Office of Graduate Admissions website.